Majestic Engineering in RM350m deal with KTMB? KUALA LUMPUR: Majestic Engineering Sdn Bhd is expected to supply new diesel multiple units (DMU) to Keretapi Tanah Melayu Bhd (KTMB) in a deal worth about RM350 million. Business Times understands that the little-known company has received a letter of intent (LoI) from the Transport Ministry to supply 13 four-car train sets. The LoI for the project was awarded last month and based on direct negotiations, said sources with knowledge on the matter. Majestic Engineering, which provides engineering and project management services specialising in the railway and related industries, is believed to be linked to former secretary-general of the ministry, Datuk Wan Awang Wan Yaacob. The company will partner Chinese manufacturer China Railway to supply the DMUs, said the sources. A DMU is a multiple-unit train powered by on-board diesel engines. It requires no separate locomotive, as the engines are incorporated into one or more of the carriages. The trains will serve the east cost line from Gemas in Negri Sembilan and Tumpat in Kelantan, running at about 120kph. "Both companies have put a price tag of about RM27 million for each train set and this is above the current market value. The contract could have been priced lower if awarded based on tenders. It could have been done for RM250 million using European technology, or RM19 million each," said a source. He added that Majestic Engineering was expected to send the technical specifications for the DMUs to the ministry next month, before the letter of award could be finalised and issued. "This will be the first time KTMB will operate DMUs. It had previously ordered DMUs from a manufacturer in France but the LoI was cancelled after it was highlighted in Parliament that the deal was awarded based on closed-door negotiations," the source said. THE Naza Group of Companies was founded by the late Tan Sri Nasimuddin Amin in 1974. It has 14 business divisions, namely motor trading, motorbikes, properties, manufacturing, transport services, machine tools and parts, engineering, plantation, cigarette distribution, credit and leasing, water crafts, insurance agency and hotel operation. Nasimuddin was one of the finest examples of a New Economic Policy Bumiputera success stories. Born on Jan 25, 1955, Nasimuddin studied at Sekolah Menengah Tuanku Muhammad in Kuala Pilah, Negeri Sembilan. He began his automotive business at the age of 21 with a capital of RM80,000 he had accumulated by working for his father who was in the contracting business. He made his first million a year later by applying for government-issued Approved Permits (APs) to import used cars from Japan. The Naza Group is now known for its car-making businesses with South Korea's Kia Motors Corp, and more recently, PSA Peugeot Citroen of France. Restaurant Chappati.Com - PJ's best Northern Indian cuisine! Chappati.Com is a contemporary Northern Indian restaurant that is located on Jalan Kemajuan in Section 13, Petaling Jaya. For those who know Ah Yat Abalone Forum Restaurant and Restaurant Fresh Unique Seafood 23, Restaurant Chappati.Com is located in between these two very popular restaurants. From the main road of Jalan Kemajuan, that is after you turn right at the traffic lights just before Jaya33, if you go straight you will be able to spot clearly Restaurant Chappati.Com on to your left. There is jockey parking at a rate of RM5.00, which is very reasonable hence, heading there wouldnt be much of a hassle. The restaurant will open to the public at the most appropriate timing which is on February 14, 2013, being Valentine's Day. The official opening will be on February 13, 2013, and it will be attended by the who's who in town. Kuala Lumpur's night-life is legendary and for good reason! The city is buzzing almost every night and if you are lucky you could find an underground joint called The Basement Club KL. 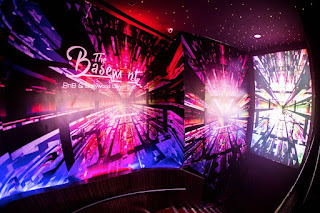 Basement Club is one of the most high profile recent openings in Kuala Lumpur city centre and has created a buzz right across the city. The club has plenty of charm and personality, as well as amazing sound and lighting system. It is an awe inspiring place! The grand opening was on Saturday, March 5th this year, and attended by corporate, friends and families. The club is owned by three low-profile businessmen, two of whom have been in the entertainment industry for over 15 years. It is located at the lower ground floor, Heritage House on Jalan Yap Ah Shak (exactly behind Sheraton Imperial KL Hotel) and has attracted revellers from near and far. Gone too soon - Datuk Wan Abdullah Wan Ibrahim! A tribute : To one of Malaysia's most astonishing corporate leaders! “The captain has left the ship," lamented a developer and friend when Datuk Wan Abdullah Wan Ibrahim stepped down as chief executive officer (CEO) and managing director (MD) of UEM Sunrise Bhd on February 25, 2014. Indeed less than 24 hours later he passed away in Kuala Lumpur. A few have invested a lifetime's devotion and faith in the property development industry on the scale of Wan Abdullah who died today at 5.45am, at the age of 56 after a short illness. Wan Abdullah will be missed, but not forgotten! An accountant by profession, he has been the MD of UEM Sunrise (a merger between UEM Land Holdings Bhd and Sunrise Bhd) and UEM Land Sdn Bhd at UEM World Bhd since January 2006. KUALA LUMPUR: THE conversion of land use from industrial to commercial at Section 13 in Petaling Jaya, Selangor, has resulted in a boom and bust of mixed-used developments, which are spurring economic activities. Initially an industrial enclave, the change in Section 13 over the years is aimed at creating a vibrant and sustainable neighbourhood. According to the Petaling Jaya City Council Special Area Plan for Section 13, the area covers 101.96ha and its pioneer developments include the integrated development Jaya33 and office development Plaza33 by Jaya33 Sdn Bhd, as well as Tetap Tiara Sdn Bhd's Jaya One. Recently completed projects included the 85-bed Columbia Asia Hospital and Inspiration Group's RM500 million integrated development called CentreStage.